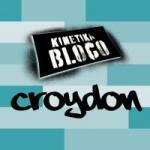 We have a free half term workshop on the 23rd – 25th October at Croydon Clocktower. We are looking for young people aged 10-18 to come and join us and play / learn drums, steel pans, brass or woodwind. You’ll create a performance together to be performed to your family, friends and your community. Sign up below. Our drums are samba drums and the Bateria (drum section) is at the centre of the Bloco, no previous experience is required to join this section, you just need to love it loud! We call this our brass section but it really means any wind instrument you can walk with, you need to have access to your own instrument, or borrow from your school, and you must be able to play the notes because we play as an ensemble, we don’t provide individual tuition. No grades required. We have places for 18 young people in this section. If you have some experience that’s great, but if not we will teach you!